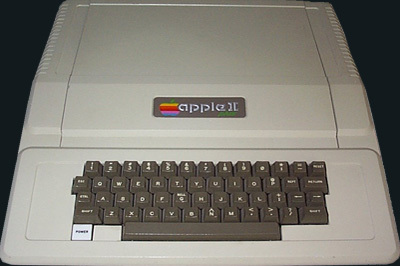 The Apple II was Apple’s first mass production machine and was a quantum leap forward from the Apple I which was limited to 200 units and for which buyers had to build their own case. At the time, building your own was the norm but Apple changed all that creating the world's first ready made personal computer that worked right out of the box. It can boast the longest lifespan of any home computer of the age being in constant production for over sixteen years from 1977 to 1993. This long lifespan was due to Apple’s focus on backwards compatibility which meant that a program written for the first 4kb Apple II could still run on the last 8mb Apple IIGS machine that sported a CD-ROM and 150mb HDD, with no modification to the code. For games developers, the Apple II was a dream; it provided a way into millions of US homes and backwards compatibility meant that money spent developing for the machine could give a return for a considerable amount of time. The Apple II platform incubated one of today’s market leaders: Electronic Arts but we can forgive this as it also gave us Sierra On-Line. The Apple II’s legacy is far greater than that which can be loaded from its disks and tapes. Significantly, its popularity ensured that Apple had the financial security to continue innovating meaning that the failures of the Apple III and Lisa didn’t end the company and they had time to make the Mac the success it continues to be to this day. AppleWin - The best Apple II emulator for Windows. Catakig - The best Apple II emulator for Mac. Virtual Apple - An archive of Apple II disks, instantly playable online.